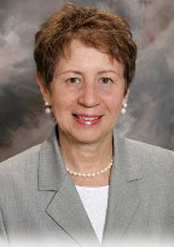 Joanne R. Werner graduated from Duke University in 1968 with a Bachelor of science Degree in nursing. She practiced nursing in New York, British Colombia, and Colorado before attending graduate school at University of Colorado where she received a Master of Science degree in 1972. Ms. Werner then went on to practice nursing in Washington and teach nursing at the University of Washington in Seattle. She then attended Seattle University School of Law graduating with Juris Doctor degree in 1992. While in law school, she was a member of Law Review. In 1992, Ms. Werner graduated from Seattle University with a Juris Doctor degree. Since becoming an attorney, Ms. Werner has practiced exclusively in the areas of medical malpractice and personal injury, representing seriously injured victims of improper medical care, defective and unsafe products and food, automobile, pedestrian and train collisions, unsafe workplaces, birth injuries, and wrongful death. As both a nurse and attorney, Ms. Werner has had experience handling many cases involving complex medical problems and serious injuries. Ms. Werner is licensed to practice nursing in California and Washington and licensed to practice law in Washington. She is admitted to state and federal courts in Washington State. Ms. Werner was selected to be a member of Sigma Theta Tau, the National Honor Society of Nursing. She is also a member of the Washington State Trial Lawyers Association, the American Trial Lawyer’s Association, and the Brain Injury Association of Washington.